Being diagnosed with cancer is possibly one of the worst things that can happen to a person. Without having gone through it, you would imagine that it feels like having the floor ripped out from underneath you. It’s a confusing and emotional time, which makes it really difficult to navigate. As a friend or family member looking on to a person diagnosed with cancer, it is equally as confusing and often you don’t know how to act. 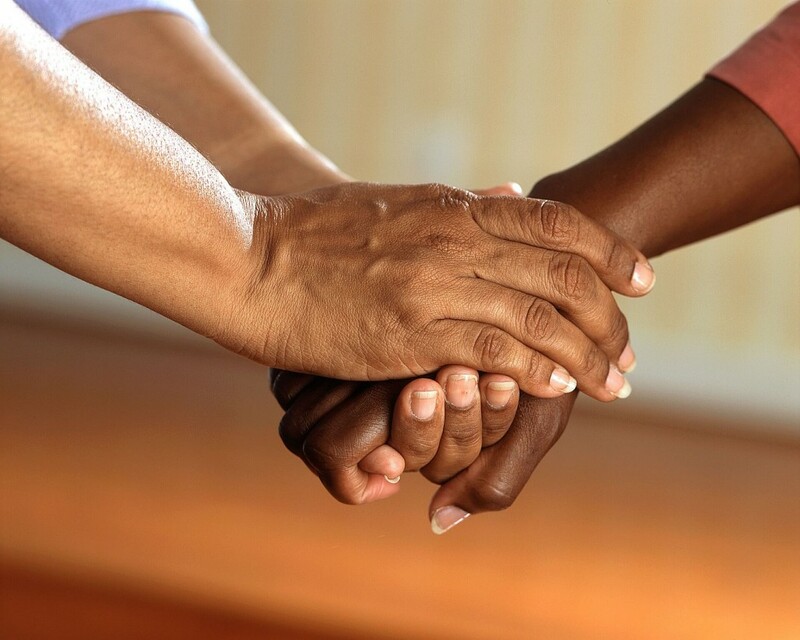 Here are a few thoughtful ways that you can be there for your friend or family member, without being a nuisance or without saying or doing the wrong things. Making food is probably the last thing on a cancer sufferer’s mind, and if they’re going through chemotherapy, they might not have much of an appetite. If they have a family to care for, making or planning meals will only add pressure to them. Deliver meals for them or for the family or have Woolworths or Pick ‘n Pay deliver some basic groceries so they don’t need to go out. Ask what foods your diagnosed friend feels like eating and go and buy that for him or her. There are so many beautiful memes or affirmations floating around the Internet that you can save to your phone and send to your friend. Send random notes or thoughts to them, without bombarding them. Even just a text message saying that you’re thinking of them will warm their heart. Make sure not to expect a response and possibly even say “no need to respond” at the end, so they know there is no pressure to reply. Things like cleaning or taking care of daily domestic duties will be the last thing on your friend’s mind. But no one wants to live in a dirty, disorganised home either. Pay for a domestic or cleaning service to come and give your friend or family member’s home a real Spring-Clean. Not only will it help them out, but being surrounded by a clean space also has a tendency to lift one’s spirits. Whether you deliver the massage or pay a professional to do it, often cancer sufferers can be in a lot of pain and massage is the best way to offer immediate relief. Buy some oils and do it yourself or get a masseuse who does house calls to come and offer some indulgence. Whether it be taking the dogs for a walk, babysitting the children, doing some admin or running some errands. Offer to reduce the burden in some way by saying you’re available to help with whatever they need. Sometimes people won’t ask for help, even if they need it, so you might need to suggest a few ideas before they find one that they really do need assistance with. Sometimes cancer sufferers don’t want to talk, sometimes they do. Whatever the situation, simply be there for your loved one. Don’t ask them countless questions or try and get them to have a conversation with you. If they want to talk, they will. Simply being there, even in silence, can be the greatest comfort to them.